Check out our review of the Samsung Galaxy Note 3 phablet. Oh I see what Samsung is doing. The TV market has slowed down in recent years, leaving the firm with a mass of unsold displays. By gradually increasing the size of its mobile devices, it’ll eventually be able to bring the two businesses together and offload all those screens as part of the Galaxy Note 10 with, say, a 32-inch display or Galaxy S15 with a sizeable 22-inch display. Hopefully the Korean tech company will also sell massive prosthetic hands that we can attach to our arms so that we can actually hold these monsters. This idea came to mind today when news emerged that Samsung is currently developing the third iteration of its Note ‘phablet’. According to a report in the Korean Times, the Galaxy Note 3 will come not with a 5.3-inch display like the Note 1, nor with a 5.5-inch display like the Note 2. 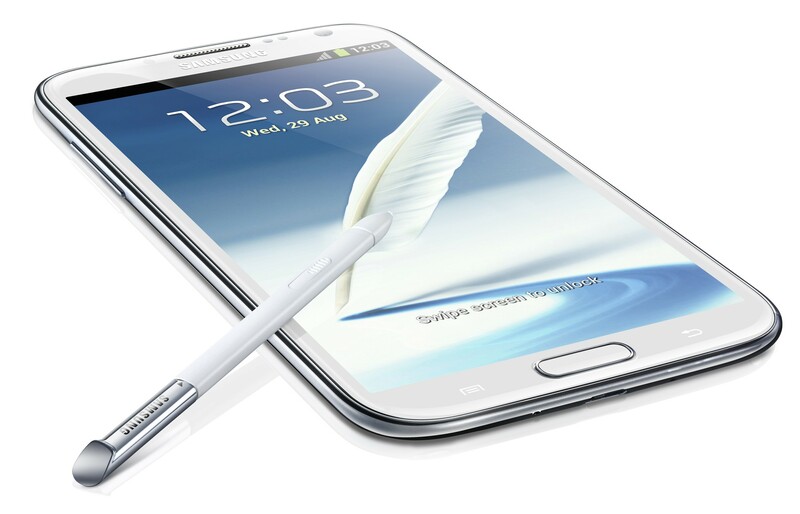 Apparently, the Note 3 will launch with a pretty-large-for-a-smartphone 6.3-inch display. Imagine that. Google’s tablet has a 7-inch display. Samsung’s Note 3 will reportedly have a 6.3-inch whopper, and you’re still supposed to hold it up to your face in public and make calls with it? This week’s Korea Times report was the result of a conversation with an official from Samsung who spoke to the publication on condition of anonymity. The official said the company was in the process of reducing investment in liquid crystal displays because of a “sluggish” television market. “In contrast, the demand for tablets is increasing and that market will see further explosive demand growth next year,” the official said. Of course, it’s quite possible consumers will really go for a 6.3-inch device – after all, the Note 2, itself certainly not lacking in the screen-size department, has been a hit with the public, with five million units sold since its launch in September. The report also made mention of a Galaxy S4, apparently set to be unveiled at the Mobile World Congress event in Barcelona in February. The official made no mention of its screen size, but what’s the betting it’ll be a little larger than that of the S3.